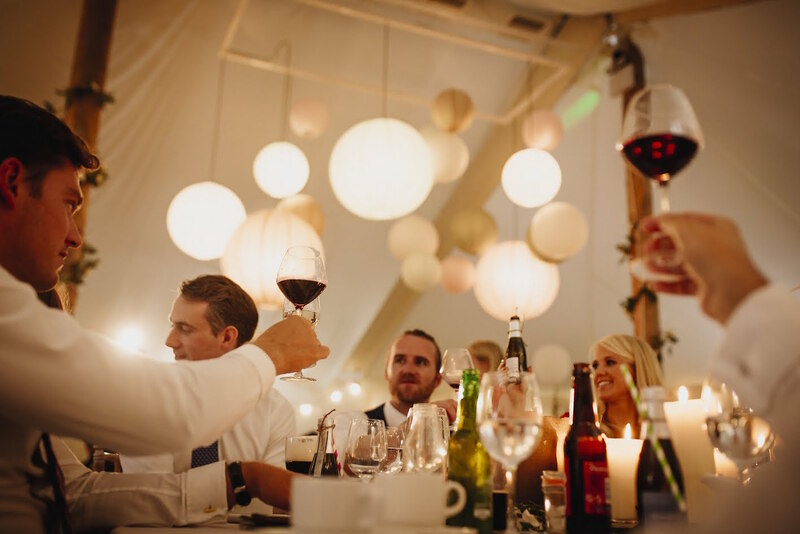 We all want to have a great time at a wedding and for most of us that includes a few beverages. We Irish are famed for our enthusiasm for alcohol but I think must of us have arrived at the “grown up” conclusion that there is such a thing as too much! So the question I am answering in this post is- How much drink is enough? 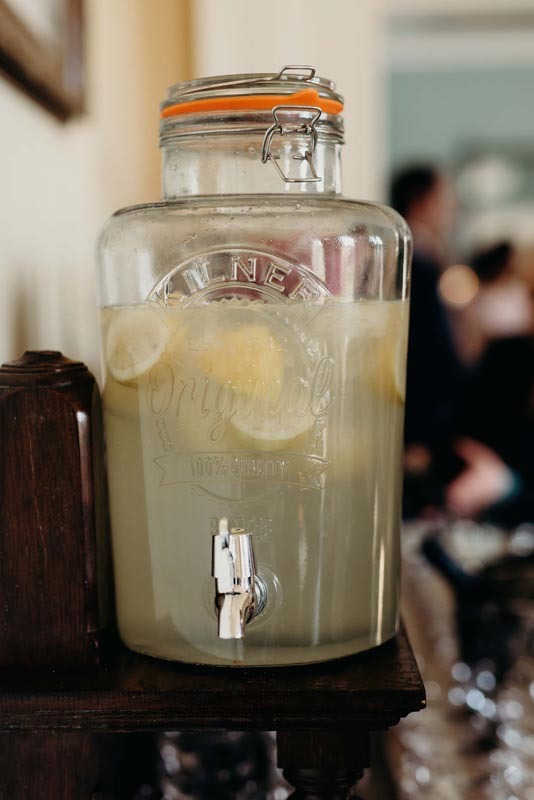 We offer every guest a glass of prosecco or our homemade lemonade and we always serve tea, coffee. 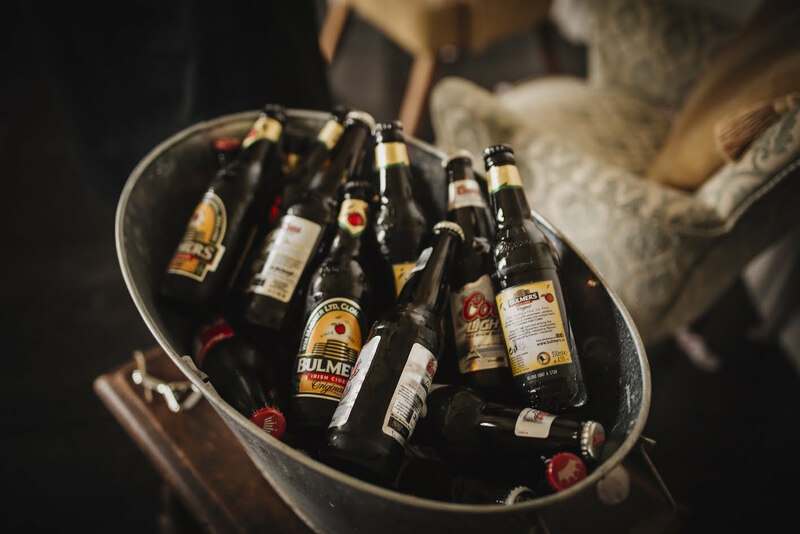 Sometimes couples choose to add buckets of beer and Mulled Cider is also fast becoming a popular alternative at out Winter Weddings. 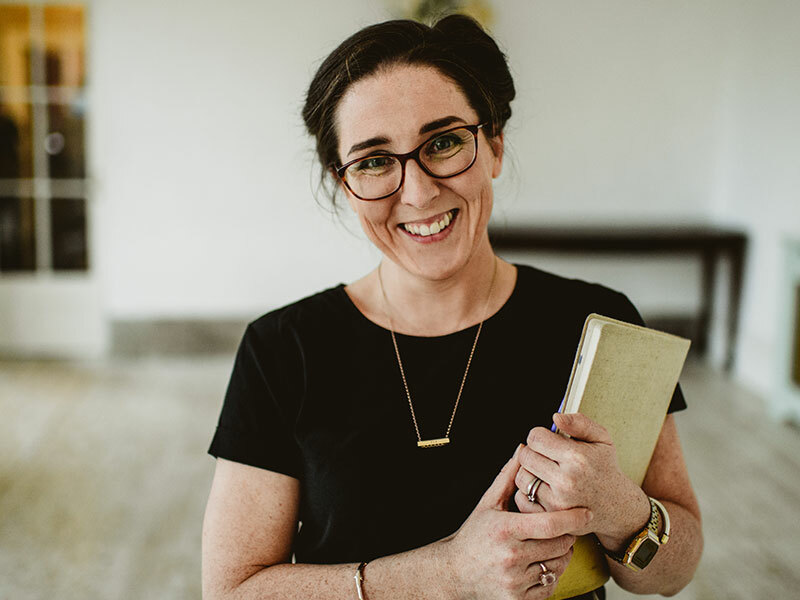 If you are in a position to offer a second drink for your guests they will really appreciate it, but they won’t miss it if it’s not there so don’t stress about this. We often hear people refering to Americans having an open bar with the same wonder as a child talking about Willy Wonkas Chocolate factory. While this sounds like a wonderful idea for a guest attending a wedding, it is a terrifying thought for the person picking up the tab. What people often forget is that it is also customary for American weddings to only last 4 to 6 hours! So all things considered I think most guests are happier to pay for their own drinks rather than being sent home at 8pm from an Irish wedding. 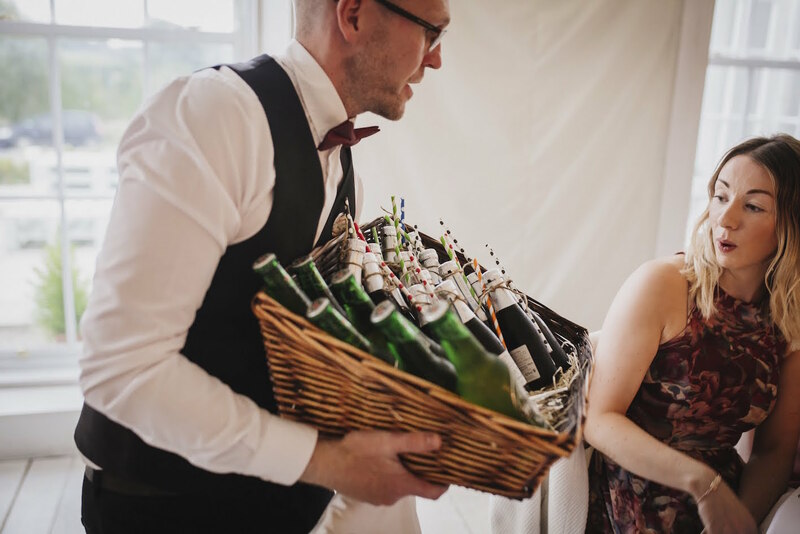 At Horetown we have lots of alternatives from beer tokens to wheelbarrows of bottled beer so you can always give your guests a taste of the free bar without blowing the honeymoon budget! 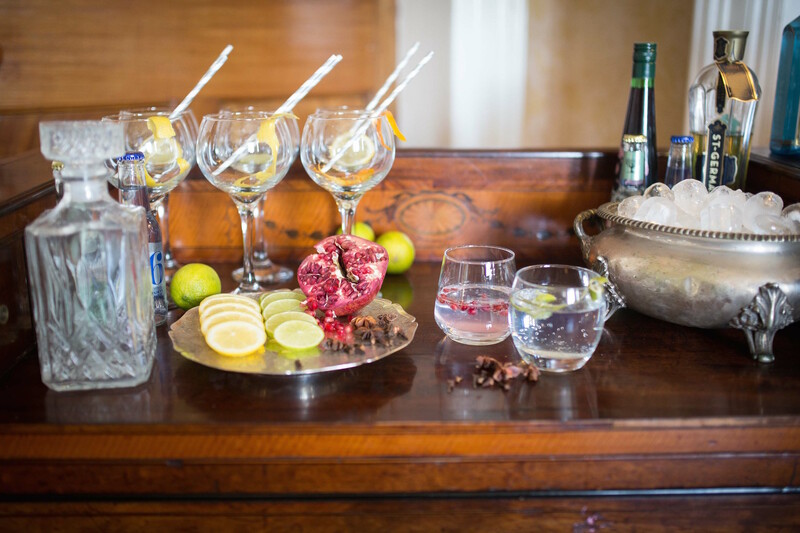 The big trend for this year is the incredibly popular drinks station, whether it’s a vintage trolley or a table stocked with your favourite Gin. These are a great idea as another way to provide guests with a “free drink” feeling, as they help themselves to your chosen tipple. Our advice on this is, pre pour the spirit to make it go further. What your friend, who fancies himself as a Tom Cruise cocktail enthusiast, calls a nice drop of Gin and what the barman measures as 1 gin could be two very different things. 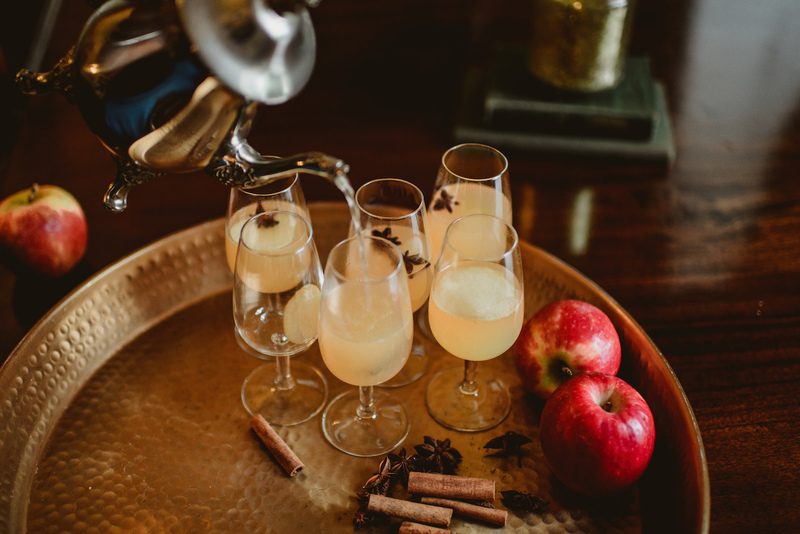 If you are hoping to share the drinks among a lot of your guests, pour the correct measure in each glass and allow them to ice and garnish their drinks to their hearts content. Its also important your guests know how much they are drinking and a heavy hand early in the day can lead to a very early exit. A full bottle of wine is said to contain 6 glasses of wine. A quarter bottle of wine on the other hand nicely fits in 1 glass. So any maths genius out there who can work out where the other 2 glasses disappeared to are invited to send answers on a postcard. Honestly the number of glasses varies and sometimes a guest will say “I’ll only have a small glass, I’m driving” but the person next to them will say “fill it up”, so this is where it can be hard to define how many glasses each guest will get from their allocated half bottle. Generally, across a room, each guest will get a full glass when they sit down and 2 to 3 top ups and this equates to half a bottle of wine. If you would like to add more wine this will be well received but again, guests won’t miss it if it’s not there and can always go to the bar. Don’t feel under pressure to have an endless supply. 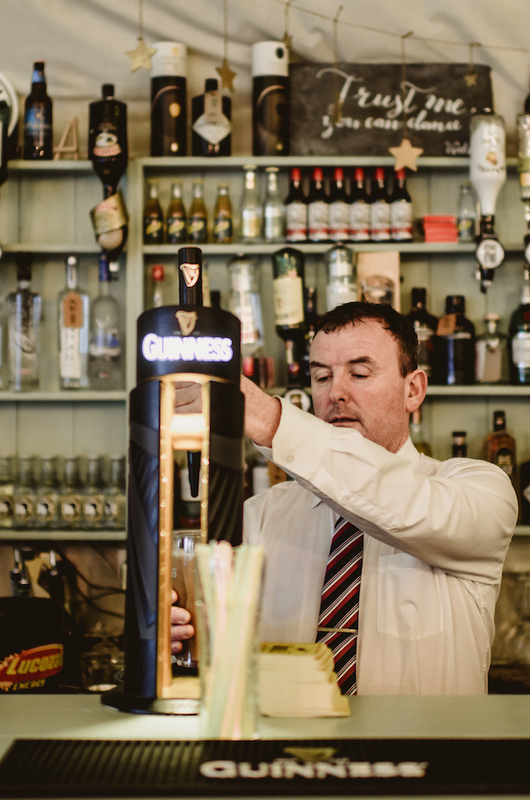 Back in the heady Celtic Tiger days you couldn’t turn around without being offered a drink from the bar, but that quickly fell off the wedding circuit and it really hasn’t made a huge comeback. 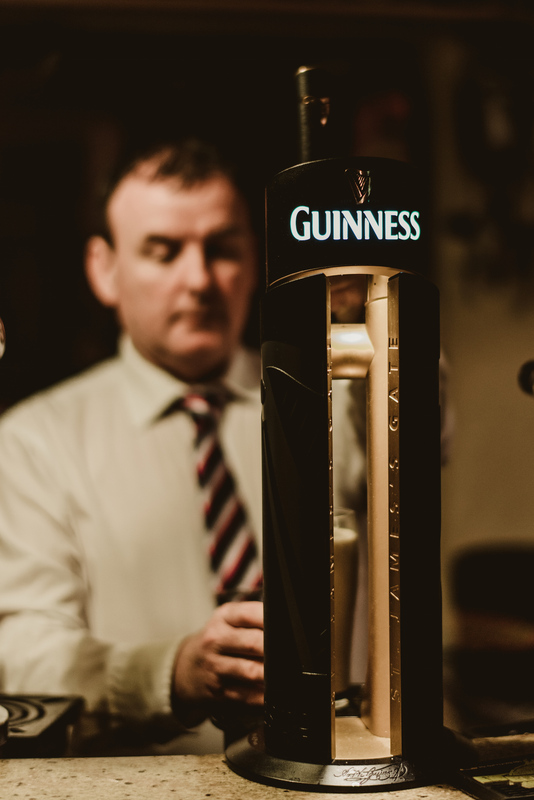 The tricky bit with an open drink is you won’t know what it costs until after its poured. A good alternative is a glass of prosecco or a bottled drink. We get a great reaction from guests when we present our wicker baskets to choose a toast drink. Filled with Prosecco with paper straws tied with twine and bottles of Beer ..whats not to love? Remember that too much drink too early will impact your dancefloor later as your guests snooze at the table. 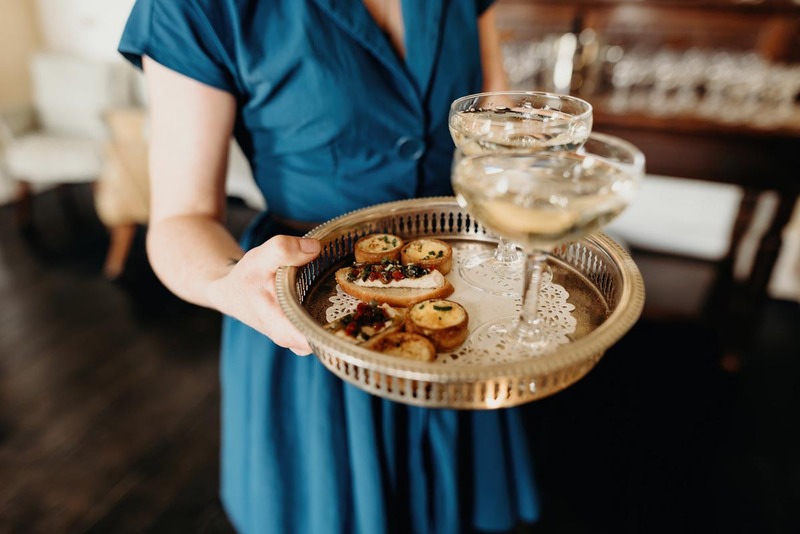 If you can afford to offer your guest a drink when they arrive and with their meal they will feel looked after, if you can afford to offer something extra, they will feel a little bit spoiled which is real treat . And last but not least, everyone knows where the bar is, if they would like another drink, the barman will be happy to help. 2 day or not 2 day? That is the question!!! So, have you set a date?